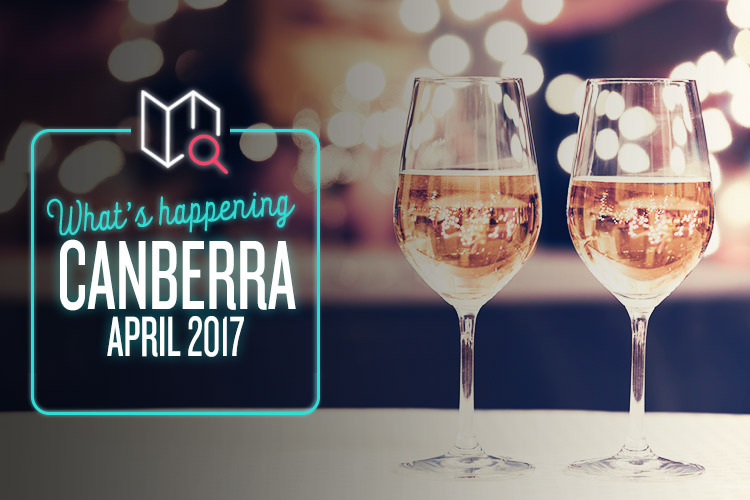 Canberra is a fine place to be in April. Well, provided you’re into wine, Shakespeare, fashion, or running. That should cover most people’s interests, we think (especially the first one). There’s all sorts of wonderful things going on throughout District Wine Week, but the Vintage Wine Flights at Contentious Character Vineyard is one we’d particularly like to highlight. It involves sampling a gorgeous range of Pinot Noir and Riesling, all dated from between 2003 and 2014. Each vintage is matched up with a mouth-watering dish, such as slow-roasted pork shoulder for the 2009 Pinot, and potted sweet prawns for the 2005 Riesling. It’s a proper treat for the taste buds, set amidst the swanky confines of the Contentious Character lounge. What’s not to like? If you’re looking to seriously impress a date (or just class up an evening with friends) this is the event for you. Bell Shakespeare’s new take on Richard III looks like an absolute joy, from the lush visuals to the immensely talented cast. The wonderful Kate Mulvany is unrecognisable in the title role, embodying all the magnetic charm, disarming wit, and Machiavellian evil of Shakespeare’s greatest villain. This version is set in a modern(ish) world of rotting glamour, and holds nothing back in its quest to deliver a deliciously grim and shocking spectacle. Anyone who knows fashion in Canberra knows CARDIF Collective. This retail boutique/design studio/teaching centre (we could go on) is a huge player in the local scene, showcasing the clothes, jewellery and accessories of many Canberra designers. That’s why you’ll want to make sure you attend its Fashion Alley event, in which a real Kingston service alley is transformed into a bustling hub of style and glamour. The latest autumn/winter collections from 15 designers will be spread across six separate runway segments, and there’s also an art exhibition, and a charity auction. Yep, it’s that time of the year again! The legendary Canberra Running Festival is celebrating its 42nd birthday in 2017, and thousands of runners from across the country will soon descend on the city to push themselves to the limit for big prizes. There are numerous events to enter, including the classic Canberra Marathon, the Half Marathon, the Elite Wheelchair Half Marathon, and the fearsome Ultra Marathon. Whether you’re taking part or cheering on a friend or family member, it’s always an unforgettable experience. Don’t forget to check out the Event Village too, which is packed with food, exhibitors, entertainment, and activities for kids and grown-ups alike.